This complex offers a fusion of sophisticated style in a deliciously relaxed holiday environment. Apartments are intelligently designed to maximise the waterfront accommodations astonishing views and ensure privacy, with a full focus on relaxation. 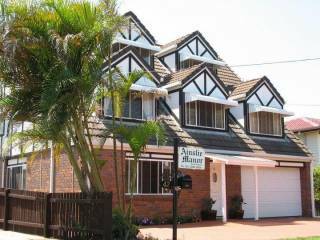 Ainslie Manor is offered as an entire house. 6 bed rooms accommodating 15 guests. 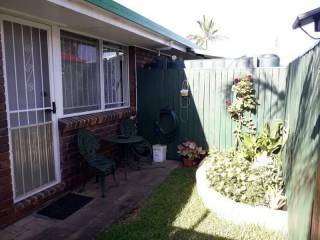 All rooms have en-suites, air-conditioning, ceiling fans, TV/DVD player. Guests have the use of the fully equipped main kitchen. Free Wi Fi. 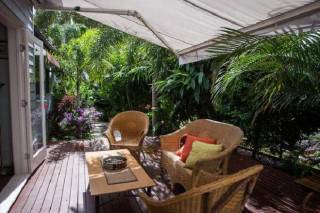 Pet friendly cottage in Brighton (Brisbane north bayside) is a safe secluded tranquil garden paradise. 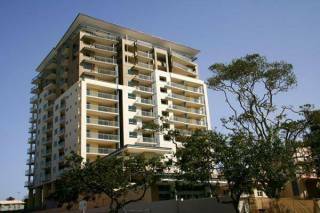 Only 1km walk from the waterfront. 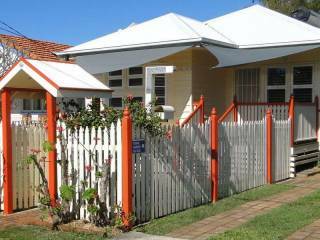 This air conditioned renovated Holiday Cottage is located on Queensland's beautiful Redcliffe Peninsula. 350m to the beach with a convenience store at the end of the Street. All linen and kitchenware supplied. 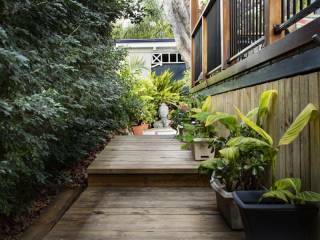 Stylish, pet friendly, one bedroom cottage in Brighton (Brisbane north bayside): private, tranquil tropical gardens, secure fencing for your pets. Free wifi. No bond. Relocations welcome. Only 1km walk to the waterfront. Close to public transport.